The Art of Fall Lawn Care – Leaf Rakes | Gold Eagle Co. Unless you’re one of the lucky few who don’t have an overabundance of deciduous (leaf-bearing) trees in your yard, the fall season signals some new additions to your chore list. Chief among them is the laborious task of raking and bagging leafs. If you have lots of mature trees, you can expect an almost titanic load of organic matter to be deposited into your yard this season. But working a rake doesn’t need to be such a painful process. Here are a few simple ways to shore up your lawn care regimen. A rake should fit your body in much the same way that an instrument or a pair of skis would. 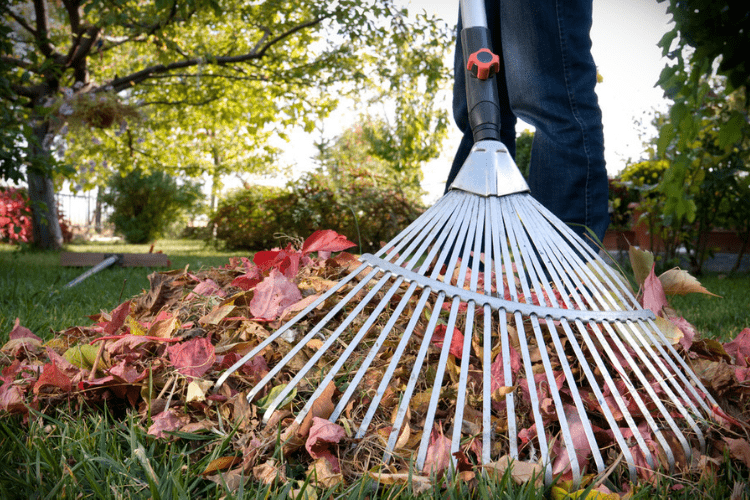 While raking, always be aware your body position, and avoid stooping over the rake at all costs. When you can, try to incorporate your core into your work, by pulling the rake towards you with your abs. This will save your arms and shoulders from some pretty serious over-use. Additionally, by engaging from the core while you rake, you can turn what was once a truly unsavory chore into a pretty comprehensive workout. That being said, remember to relax and avoid planting your feet. While you may be feeling the ab burn, there’s a fine line between exercise and back injury in the world of raking. Rakes have come a long way over the years. Where they used to be relatively archaic and splintery lawn tools, rakes are now often made to be ergonomic, durable and specialized. Here are few great rakes to help you achieve your lawn maintenance goals. Landscape beds are a beautiful way to organize and display a wide selection of flowering plants and shrubs. But they also present a significant raking challenge. Homeowners often opt to plant their landscape beds as full as possible so as to maximize space, which leaves little room for operating a rake once leafs have fallen. This is exactly the scenario for the Fiskars Shrub Rake. At just 8” wide, the Fiskars Shrub Rake is designed to squeeze in-between shrubs and flowering plants to pull hard-to-reach leafs out of the landscape bed and onto the yard. Despite this rake’s rather heavy-handed name, the Amazing Rake is, well, amazing. The express purpose of the Amazing Rake’s design is to save user’s backs from injury during the raking process. The Amazing Rake functions like a standard rake, only with the addition of a second rake head that works to scoop up leaves, allowing users to rake and deposit leaves into a waste bag with minimal bending over. The Amazing Rake is the offspring of a bulldozer and a traditional yard rake. This is an increasingly common staple for many landscaping and tree service companies. The Groundskeeper II features a lightweight fiberglass handle and tine raking teeth. This tine design allows users to simply flip the rake over and run it along the grass to clear the rake of leaves and debris. This makes the Groundskeeper II one of the healthiest rakes around. Wait until all of the leaves have dropped before heading out to rake. There’s no point in rushing this project, particularly if you’re going to have to do it all over again. Despite the fact that your yard may look like a sea of dead leaves for a couple weeks, cleaning up the entirety of the season’s leaves at once is actually more efficient and satisfying. Also, If the wind is whipping, wait to rake. Raking leaves in the wind is akin to peeing in the wind; neither is very efficient. Also, wait for a dry spell to tackle your raking project. 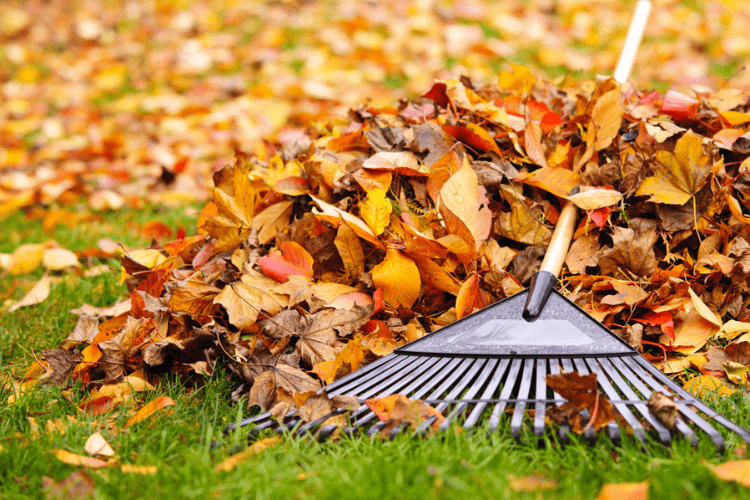 Dead leaves can hold a surprising amount of water weight, and are much more prone to falling apart when raked. Quarter your lawn into sectors that can be tackled individually. This will help you visualize and process how much work you have left. Rake each quarter of your lawn into manageable piles that can be bagged efficiently later on. Once you’ve wrangled your fallen leaves into manageable piles, you’re ready to bag. Stage leaf bags in each sector of your lawn space so that you aren’t making multiple trips back to the garage. Glad we don’t have to deal with these great pile of leaves yearly. Some kind of vacuums could easily do the job.